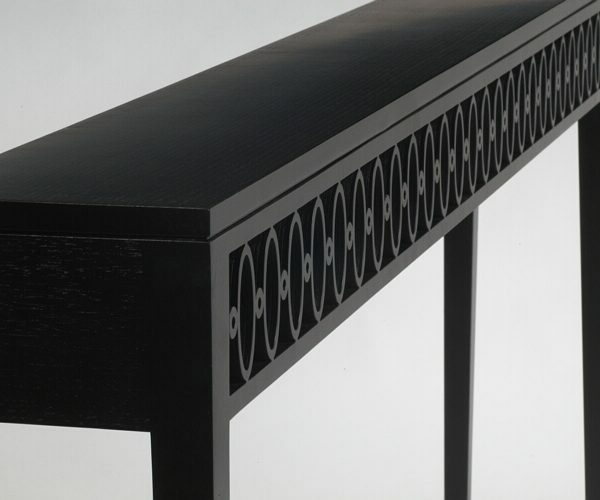 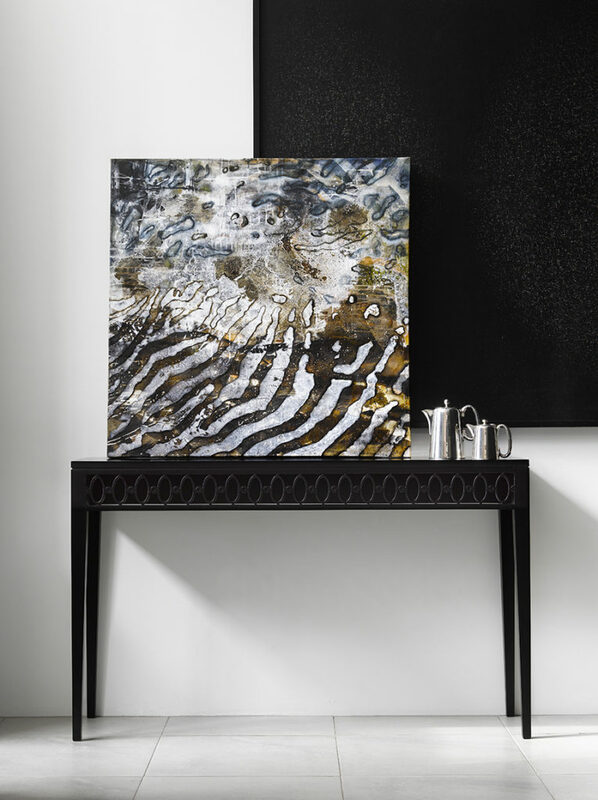 The Contessa console by James Salmond has a unique laser cut design with elegantly tapered legs. 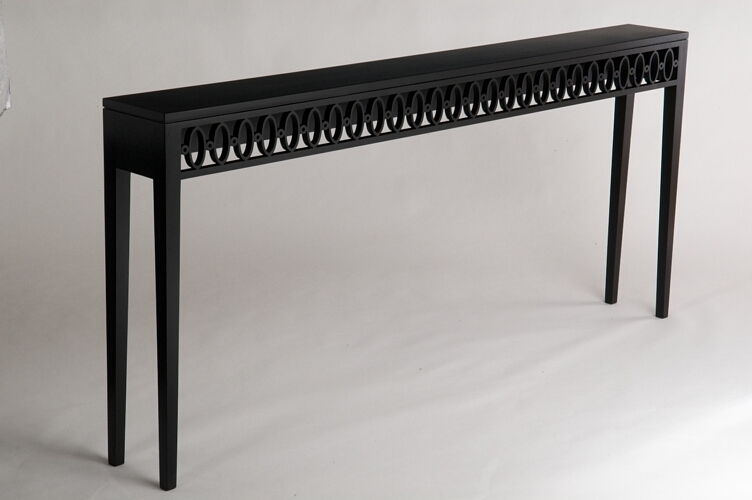 The console can be used behind a sofa, down a hallway or in other hard to fill areas. 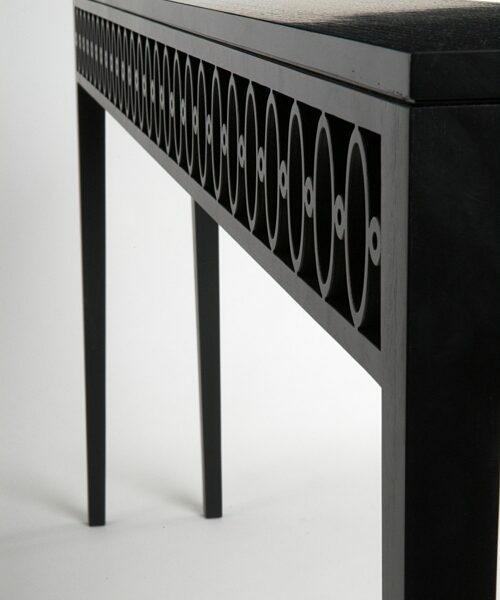 There are two standard sizes but the console can also be customized to suit your requirements.